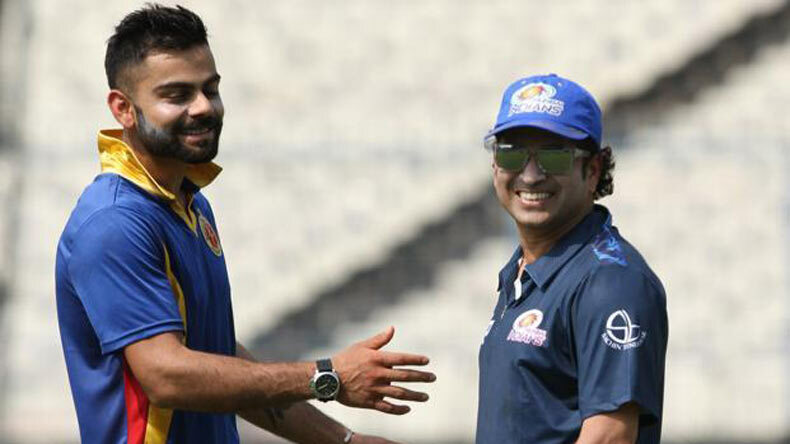 Indian skipper Virat Kohli thanked Master-Blaster Sachin Tendulkar through a post on Twitter. Virat thanked Sachin for praising and writing a blog about his hard working journey, skills and achievements. The post came after Virat Kohli was named in Time's 100 most influential people. “Every sportsman knows what it’s like to have good spells and bad ones too. Virat took the criticism he faced during a disappointing West Indies series and returned home with a goal: to improve not only his technique but also his fitness level. He’s never looked back.” “My father always told me that if I focused on what I was doing, over time, detractors would become followers. Virat seems to have a similar outlook when it comes to his game. “I wish him all the best for his career ahead and am confident he will continue to bring pride and glory to India through cricket. Go Virat!”.